This is getting ridiculous now. Army will unveil its fifth jersey combination of the year with a ravishing grey top-grey pants-black helmet combo, the Times Herald Record reported. I haven’t seen the jersey yet, but I’m assuming from the colors featured that it’s designed to resemble the uniforms the cadet corps wears. 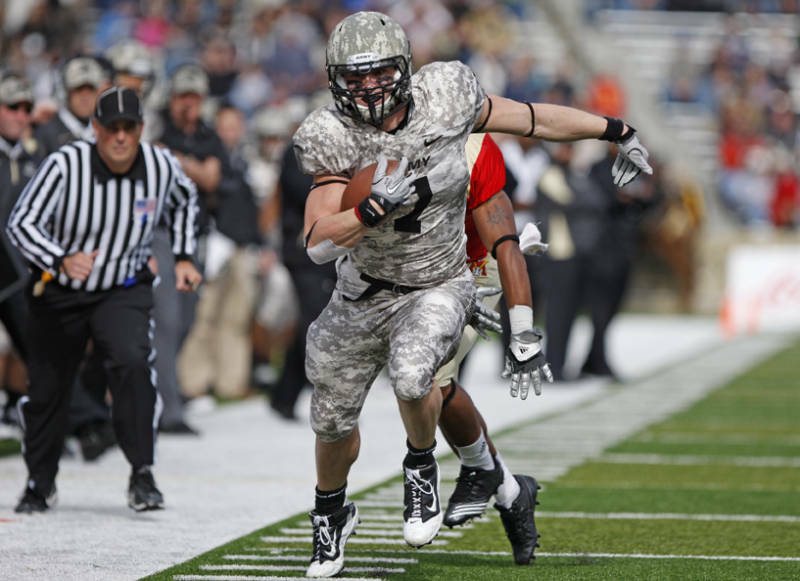 Last week, the Black Knights wore a digital cammo uniform in their win against VMI. A spectator commented the Army players would have blended in better with the Multi Cam design soldiers are wearing in Afghanistan. “Don’t they know the field is green. This is not a urban environment. Classic Army decision,” said Sgt. Snuffy. West Point is not alone in its pursuit of the perfect Saturday outfit. The Air Force unveiled a uniform featuring red helmets and dark blue tops that look a lot like the Air Force’s Thunderbird demonstration team. 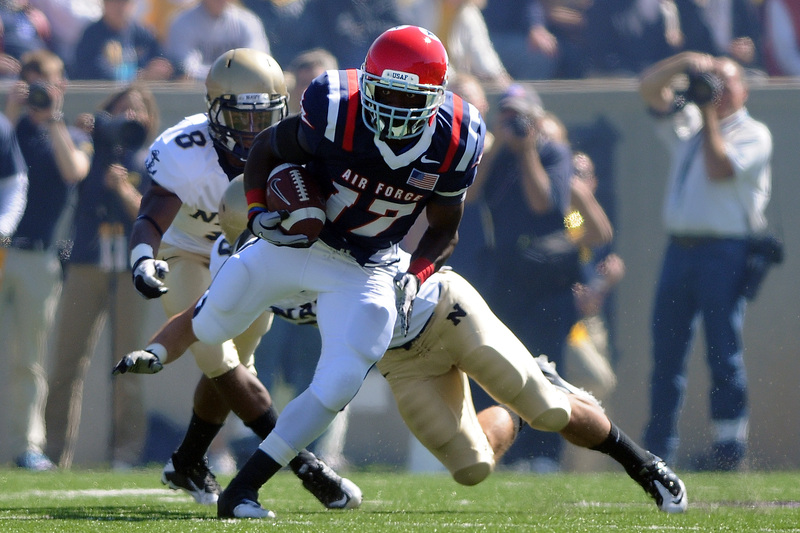 No word on if Air Force will wear the same jerseys this weekend.